Sedans as we all know, are categorized amongst the most sold and liked vehicles worldwide. The popularity is based not just on looks and not because of the comfort it provides, but for the royal overall customer satisfaction which it offers in terms of Comfort, look and its spacious build. Sedans, also known as saloons, are so powerful that they override the traffic whenever required with a decent roar. Sedans suit the Indian family setup and thus are very popular and liked amongst the Indian mass. The subcompact sedans have added to the choices offered to the customers and have given an upthrust to the sales by a huge margin. If one wants a shift from a Hatchback to Sedan, the best offer would be the subcompact sedans due to their adorable pint-size and affordable pricing. And, if you have to hold yourself back from purchasing a sedan due to the unaffordable price range of your choicest Sedan, then the time has now come when you could fulfill your dream and get the amusement of driving your own Sedan. How? Maruti Suzuki Dzire, the Compact sedan from Maruti is amongst the best-selling compact sedans in India and for Maruti Brand itself. The Swift has been renamed after the launch of the 3rd generation model called the Dzire. The subtle design of this sedan makes it spacious and equipped with numerous facilities. Also, it has the mechanism which has been aided to save fuel and thus, has the best fuel economy amongst the whole Indian auto market. 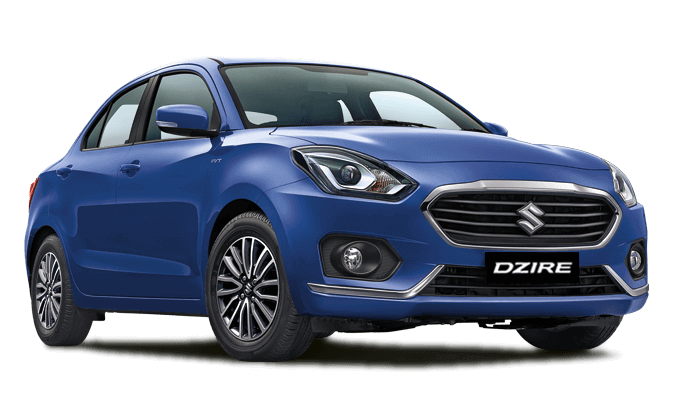 Maruti Suzuki is offering a heavy discount of up to Rs 83,000 on its Dzire. But the discount scheme is applicable only on its 2018 made models. The discount is offered in the form of cash discount, exchange bonus and corporate discount. The Maruti Suzuki Ciaz has been an excellent model in terms of sales from the Maruti Brand. This model has been a proud history and it has got the pride to be the best seller in the C-segment sedan category. The Maruti brand is offering a discount of Rs 95,000 on its Ciaz modeled Sedan. There is also a cashback offer worth Rs. 60,000 attached to this discount and an exchange bonus of Rs. 25,000 on the manual-equipped models. The Ciaz is also being offered a Corporate Bonus between Rs. 5,000 to Rs. 10,000. 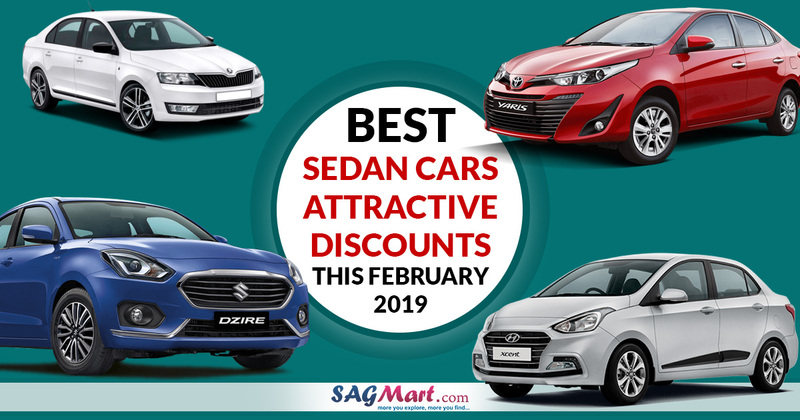 The Discounts are being offered on the 2018 made units of the Ciaz Models. Again with the Automatic models are offered with just the cash discounts of Rs 40,000 and no other offers are attached to the automatic models. 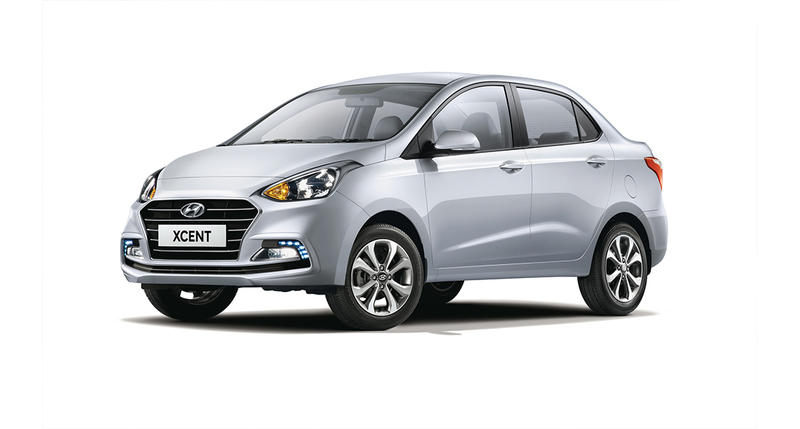 Hyundai Xcent, sedan with an attractive name, is brought to the market to give a tough competition to the likes of its competitors – the Honda Amaze and Maruti Suzuki Dzire. This is a subcompact sedan having a slight oddball looks and would be liked by a particular section of people having peculiar choice. But a sedan at this cost would be is a value for money package. Considerably handsome discount is being offered on the 2018 model, viz, Rs. 85,000 over its head. The discount is offered in the form of direct cashback of Rs. 40,000 with an exchange bonus of Rs. 45,000. A corporate discount is also attached to this car too. It is the Czech automaker which has a long time back launched the Skoda rapid and with an expectation that he would be a success in expanding the C segment sedan sector. However, the sales performance of this sedan is not up to the mark till now. 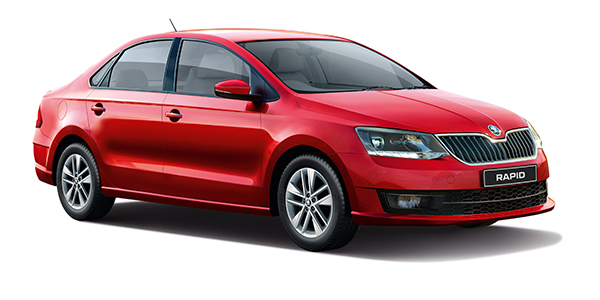 The rapid has an excellent built as it is based on Volkswagen Vento. The Company hereby is offering a huge discount margin of more than 1.25 lakhs on the model ‘Rapid’. There is also an exchange offer attached to the discount for worth up to Rs. 50,000. With this model, the Company is offering a corporate discount, free insurance and extended warranty at discounted rates. Just like the other brands, the Company is offering these discounts and exchange offers with their 2018 made units of Rapid. Volkswagen Vento, the German Sedan, is being offered with huge discounts this month. The Company has the strategy to bring some new car models to India and at the same time, they are also focussed to boost up the sales for the two models the Vento and Polo. Volkswagen is offering a discount of Rs 1 lakhs on its Vento. The direct cashback offer is also attached to the Discount offer worth Rs. 60,000 and an exchange bonus of Rs. 25,000. A corporate discount worth Rs 15,000 is also being offered. 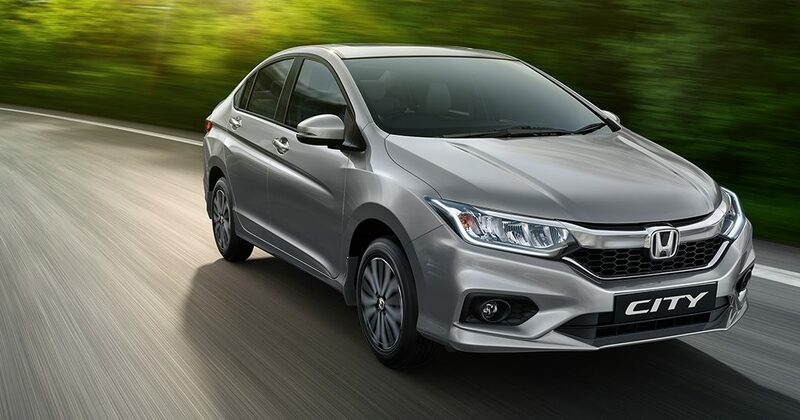 Honda City has regained its pride in becoming the best seller and had earned this title after a long time in December 2018. It has been almost two decades, that the car is in the market after its launch and its popularity is not diminishing. The City model sedan from Honda is known for its Comfort offerings and adjustability at the crucial times. It is reliable model as it is being liked from decades. As all the other brands are offering discounts on their models, Honda is also offering discounts on its City Model Sedan up to Rs. 87,000 currently. Under this discount scheme, there is a free insurance being offered 1st Year along with an exchange bonus attached to it for worth Rs 20,000. A direct cash discount is also being offered for worth Rs. 25,000. A Corporate discount offering is also decided by the Company along with genuine accessories worth Rs. 10,000. All the above-mentioned offerings are with the 2018 made models of the Brand. The Toyota Yaris model of Toyota has never experienced good sales. The Japanese carmaker has always offered discounts for its this model but it does not look working their way. Its sales never experienced a boost. Thus, this time the Company is offering a considerably huge discount on this model. A discount of Rs. 1.5 lakhs is being offered with this Sedan. Along with the discount they have also included an exchange offer. There are some lucrative gifts like cash discount, free insurance, and accessories which are being offered to increase the sales and clear off the stock of the 2018 made units of cars. Special offer for this month would be the ‘Gold coin’ which would be offered to the customers on purchase of the sedan this month. All the above-mentioned offers and discounts are applicable to 2018 make models only. 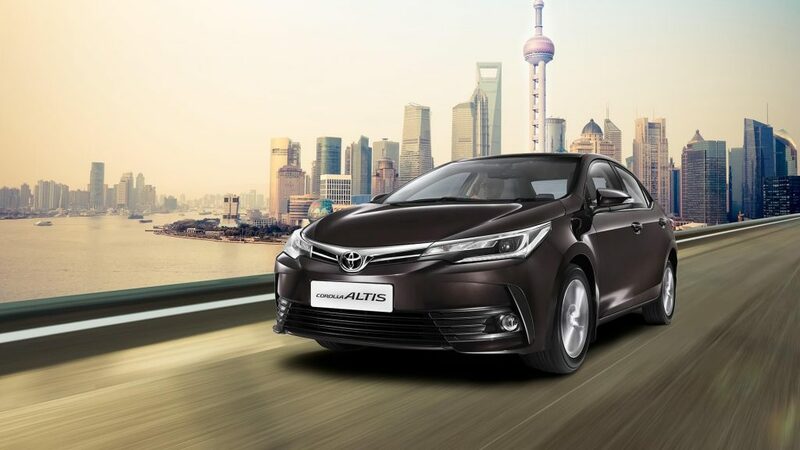 Toyota Corolla Altis is known to be a rock solid car model which is being offered with heavy discounts this month. The Japanese manufacturer is about to be launching its new 12th generation Corolla in India by 2020. This model would be coming with a cutting edge design and would be offering several classic features.